To put it bluntly, carpal tunnel syndrome stinks. It may not be a dangerous or deadly condition, but the chronic pain and limited functionality it causes in your hand can lead to a lot of frustration and curtailing of daily activities in many cases. But now there is some good news for carpal tunnel sufferers. New research suggests that electroacupuncture may be a safe, effective form of treatment. The study, which was conducted at the Chinese University of Hong Kong, found that sessions of electroacupuncture improve symptoms in patients with mild to moderate cases of carpal tunnel syndrome when used in combination with splinting.1 The subjects were 181 men and women with a mean age of 51 who had all been diagnosed with carpal tunnel syndrome, which occurs when the median nerve going through the wrist becomes compressed, causing weakness, numbness, and pain. They were randomly divided into two groups. One group was treated with nighttime splinting only, which involves wearing a brace to immobilize the wrist and prevent it from flexing. The second group was treated with nighttime splinting in addition to 13 sessions of electroacupuncture. The trial lasted for a period of 17 weeks, and 174 of the participants stuck with it through its completion. The volunteers who were provided with electroacupuncture reported that their symptoms lessened in severity and they were experiencing less disability as well as greater function and more dexterity compared to those who were only using splinting. Unfortunately, this method of testing based on the subjects acknowledging improvements or lack thereof is not really quantifiable and is very subjective. We gain no knowledge as to what extent the participants in either group could better perform daily activities or experience a greater level of functionality. There was also no sham treatment used as a control, leaving open the question of whether a placebo effect occurred at least to some degree. That being said, the results showed notable improvements in the participants receiving electroacupuncture versus their counterparts who simply used splinting. If the volunteers were reporting fewer symptoms and a greater ability to do more with the affected hand, then we have to consider the electroacupuncture successful even if we can't measure it precisely. And it makes sense that it could be effective since carpal tunnel is a chronic condition, and in Chinese medicine, electroacupuncture is considered to be particularly useful for treating issues of chronic pain. Electroacupuncture uses the same principles as traditional acupuncture involving the insertion of needles in very specific points on the body to alter qi (chi) and treat a range of problems, but it differs in that the needles deliver a low voltage dose of electricity to enhance the effect. It is not recommended for women who may be pregnant and anyone with seizures, epilepsy, bleeding disorders, or heart problems. However, it is generally a very safe procedure with low risk of adverse effects, and the complications that it may produce are typically very minor including bruising and occasionally dizziness. These mild potential side effects are likely worth the risk to diminish the discomfort and loss of function that are usually hallmarks of carpal tunnel syndrome, especially since they are often aggravated on a regular basis by performing repetitive everyday tasks such as using a computer keyboard and writing. Electroacupuncture also presents a safer, more appealing option than some of the other medical treatments that may be suggested. Many doctors will offer steroid shots to the area to provide temporary relief by reducing the swelling that is compressing the nerve. The downside of this is that steroid injections are associated with such complications as nerve damage, bone death, joint infection, and rupture of tendons. Plus it only gives patients short-term relief since it addresses symptoms instead of the cause. If the carpal tunnel is not improving despite the use of a splint and steroid injections, surgery will typically be recommended next. The procedure--one of the most common operations in the United States--involves cutting tissue within the wrist to relieve the pinched nerve, but comes with its own set of risks including adverse reaction to anesthesia, infections, nerve damage, continued pain and stiffness, and loss of wrist strength. In addition, the results may not be permanent and the carpal tunnel syndrome can still recur. So if this condition has been plaguing you, it is probably in your best interest to give electroacupuncture a try. It has been shown to improve symptoms in other chronic conditions. A 2016 study at Universidad Autonoma Metropolitana in Iztapalapa, Mexico found electroacupuncture to improve the health-related quality of life in fibromyalgia patients.2 Just contact an organization like the American Association of Acupuncture and Oriental Medicine or National Certification Commission for Acupuncture and Oriental Medicine to find an affiliated practitioner in your area. 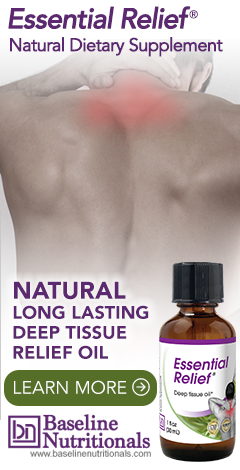 And of course, you also have the option of using an herbal deep tissue oil that can, in a few seconds, help relieve the inflammation that presents the underlying cause of carpal tunnel syndrome. I suggest that carpel tunnel may be connected to neck and shoulder muscle imbalance and misalignment of upper spine. I have found that massage, twisting, turning and reaching of my arm and neck relieves the pain. I find that the brace helps at night while sleeping. Hi I am a qualified Chiropractor. There are many misdiagnoses surrounding Carp[al Tunnel Syndrome. I have found that the problem usually is in the elbow where a small;l displacement of either joint can impinge on the nerve and give pain in the wrist and hand. A simple adjustment clears the problem immediately. BTW I read your page daily and share often with my patients - Thank you. New Spinal Implant to Banish Pain?